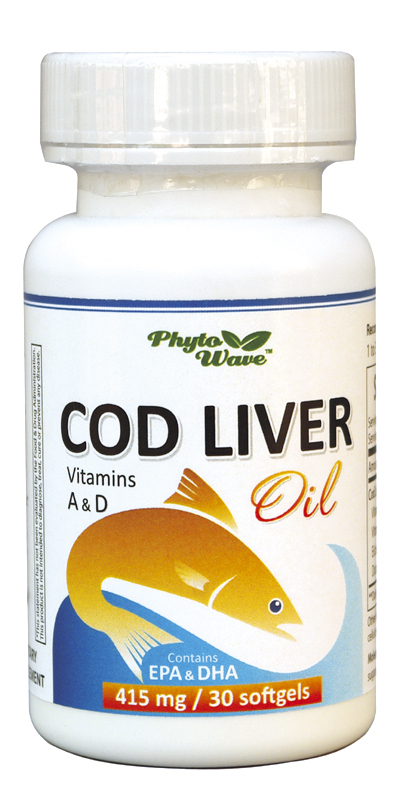 COD LIVER OIL is the highest quality oil – a natural source of Vitamins A&D. 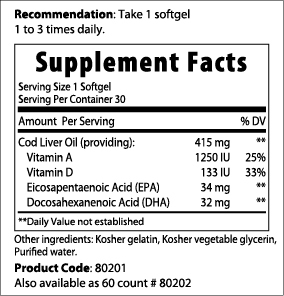 Vitamin A helps maintain cell membrane integrity, normal vision and reproductive health. Vitamin D, the sunshine vitamin, helps bones and teeth, stabilizes the nervous system and helps the cardiovascular system, muscles and many body organs.